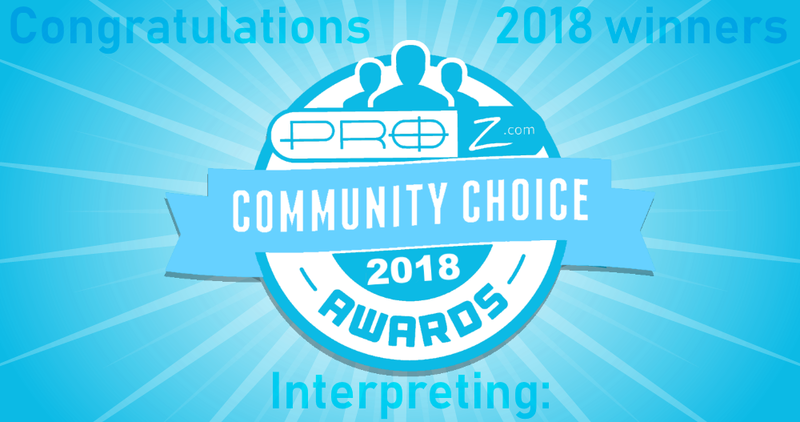 If you are a professional interpreter, you can use ProZ.com Pools™ to connect with new clients. 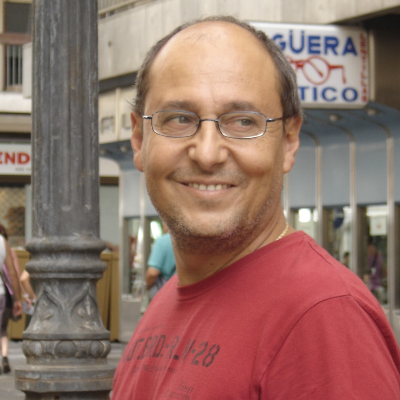 Giampiero Lungone is an industrial-technical interpreter in engineering training, working in Italian – Spanish – English. He recently joined the ProZ.com Interpreter Pool, one of the new pools of screened language designed to make it easier for clients to find experts. In this post, Giampiero talks about how he got started in interpreting, a bit about his work, and some considerations to keep in mind if you are thinking of starting a career as an interpreter. I started working as an interpreter almost by chance. I was already working as a translator and one day I received this call asking me to replace an interpreter who was ill. I had never done the job, but since this was a very good client and it was a two-day job, I decided to accept. And it opened a whole new world to me. I was really very nervous, but this first experience went extremely well. And it went so well that I have been doing it for the last 20 years. 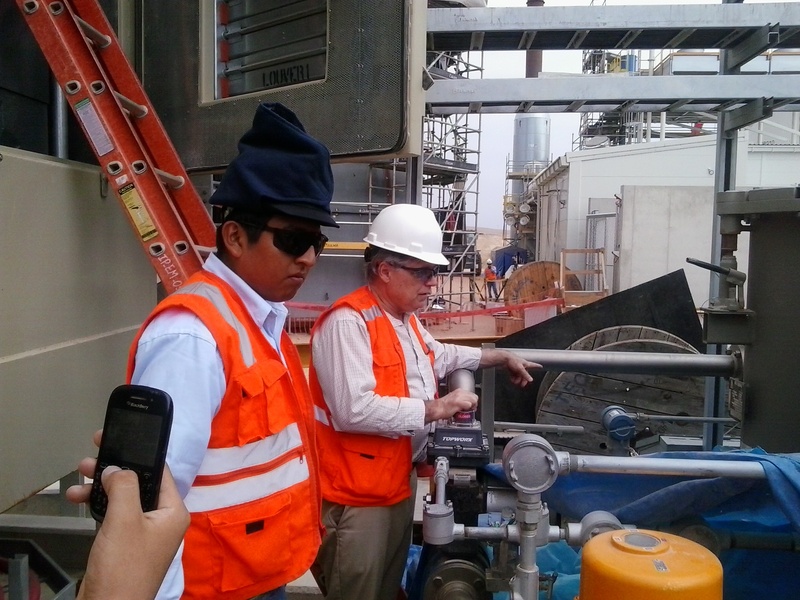 Basically, I accompany an engineer who delivers a training course for operation and maintenance of industrial machinery. These courses go so well that sometimes the trainees call me the “boss”, in the sense that without me the course could not be done. I work translating from Spanish to English or Spanish to Italian and vice versa for both linguistic combinations. Spanish is spoken in 23 countries and each one has it own way of naming a certain piece of machinery. 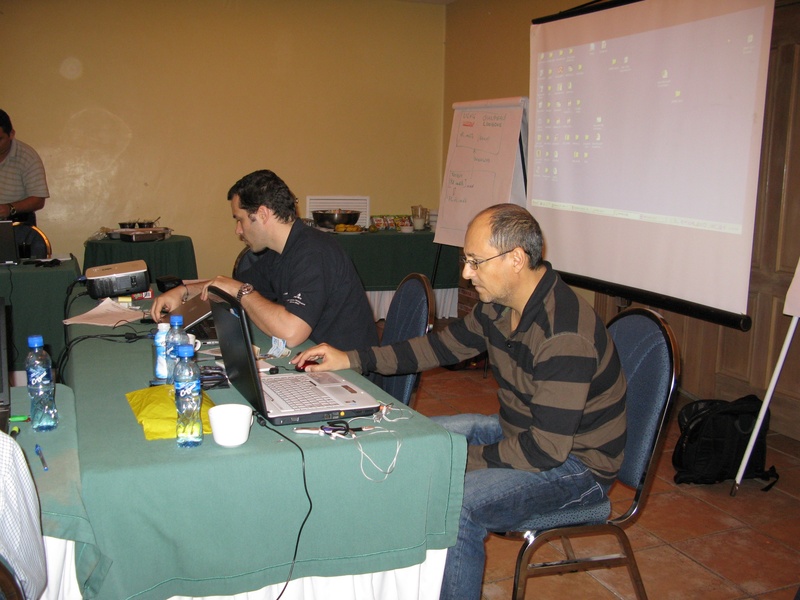 On the first days of training, the trainees are usually adapting to the course, to my voice, to the engineer. But after some days, we become friends and they start telling me that this is called this and that is called that. I always ask them to tell me the local names used in their work, so I can incorporate them in my work as an interpreter. The daily confrontation with distinct cultures and customs means that professional growth, especially in tackling hard times and situations (Patagonia, Argentina; Nigeria; Colombia), is constant. For example, the way one can explain something can be friendlier, whereas in other countries it would be better to be more formal. Another thing is that in warm countries the trainees might not be used to work long hours and sometimes a break can take a lot longer than 15 minutes, especially when you work in the plant. The trainees are sometimes called back to work for an emergency and the course has to wait for them. This can be a shock or considered as a negative aspect regarding the trust that is still building. My role is to mediate this whole situation. Furthermore, after working hours you confront yourself with the locals’ daily routines like driving, eating in local restaurants, going to the bank, etc. and you always have to remember that you are not in your country and you have to learn to do things as the locals do. If I can give some advice, always have some cash (dollars or euros) and credit cards and you will be fine in any part of the world. For an interpreter who works in this field, certain comforts are set aside, and it is a must to adapt to situations that are anything but comfortable. Once I stayed in a container with no running water (this is one of the reasons some places are not recommended for women). Another time I was in a hotel by the beach. Food can sometimes be challenging, especially when the local food is not quite acceptable (I have already contracted e. coli three times). And finding a good Italian restaurant can be very challenging too (I love Italian food). You simply cannot trust a sign written in Italian – like “La Pasta” or something of the sort. So, my recommendation is to always go to 5-star restaurants, especially if you like rare or slightly rare meat. A friend of mine contracted salmonella eating rare meat in a local restaurant. Trips usually last from one week to a maximum of three months, but then I am back home. It is always a great sensation coming back home and bringing along all those memories and experience the job offered me. There are always spectacular sunsets and breath-taking panoramas that will stay with me for the rest of my life. Working hours are also challenging. Usually I start working from the moment I wake up until almost the moment I go to sleep. Accompanying someone on the job means to be by his side always, at least for the first days. Breakfast, lunch and dinner explaining the local food, getting him in and out of the installations, providing all the necessary tools to accomplish the work, and of course, delivering the training course! After 6 hours of work, you almost totally lose your concentration. Actually, in a training course, the interpreter is the first student the engineer trains, and he has to learn and understand everything in a very short period of time. Of course, I prepare myself before travelling with the material the client furnishes me and this is an enormous help. Personally, I think two breaks in the morning and one in the afternoon are enough to not make me lose my concentration and at the same time, rest. Too many breaks make me lose concentration and don’t help the trainees because it leaves them distracted. Even in these cases, there is always something to learn about the people you work with and work for. I work in close contact with people and this inevitably gets us talking about so many things: local food, shops, language, politics, etc. But of course, I would never change this job because of everything it taught me to this day. And, I hope very much, to still discover other places and other situations or even go back to places I have already been to. “The world cannot function without translators and interpreters.” This is the opening statement of a petition created in part by Red T, a U.S.-based non-profit organization that lobbies on behalf of translators and interpreters working in conflict zones. The objective of this initiative is to draw attention to the plight of linguists who work in high-risk settings, and to urge the United Nations to take measures to ensure that these individuals receive a certain degree of protection in their duties. In this interview I had the opportunity to speak with Maya Hess, CEO and founder of Red T, about the goal of this petition, the organization behind this project, the risks associated with working as a linguist in conflict zones, and what can be done to help lobby on behalf of translators and interpreters worldwide. MK: First of all, congratulations on this initiative. The petition has reached almost 35,000 supporters. Can you tell me about Red T, the organization behind this project? MH: Thank you for your kind words and the opportunity to introduce Red T to your platform. Red T is a nonprofit organization advocating for translators and interpreters (T/Is) in high-risk settings, whether these are conflict zones, sites of political unrest, detention camps, prisons housing violent extremists, or even terrorism trials. Having worked in the terrorism arena for many years, I experienced firsthand how vulnerable T/Is can be and founded Red T to draw the attention of the public, governments, and other bodies to the often terrible fate they suffer. Ultimately, Red T’s vision is a world in which members of our profession can work free from fear of persecution, prosecution, imprisonment, abduction, torture, and assassination. To achieve this, we engage in various activities championing policies that support and safeguard linguists. In our latest project, the petition you referred to, we are seeking protected-person status for T/Is in conflict situations. Together with the five major international language associations – the International Association of Conference Interpreters (AIIC), the International Federation of Translators (FIT), the International Association of Professional Translators and Interpreters (IAPTI), Critical Link International (CLI), and the World Association of Sign Language Interpreters (WASLI) – we are calling on the United Nations to issue a resolution along the lines of those adopted for journalists. As it stands now, T/Is are not specifically protected as a professional category, and obtaining such a resolution would constitute an important first step in remedying this omission. MK: What can language professionals who are interested in supporting Red T do? How can they get involved? Another way to support Red T is by donating, which can mean making a contribution or volunteering your time. For instance, we have a great demand for writers to do research and draft copy and would be grateful for any assistance in that regard. We are also looking for translators for the Conflict Zone Field Guide for Civilian T/Is, which we issued jointly with AIIC and FIT. It still has to be translated into a number of languages, so if you are able to help, please email us at contact@red-t.org. MK: Has Red T encountered resistance in certain sectors while seeking to protect linguists at risk? MH: It depends. Some of our projects have been embraced: For example, our coalition’s UN Resolution proposal has been taken up by Baroness Jean Coussins in the British Parliament’s House of Lords and has received the support of H.E. Bernardito Auza, the Apostolic Nuncio and Permanent Observer of the Holy See to the United Nations, who committed to promoting it before the UN Security Council once it is scheduled for debate. Additionally, the Conflict Zone Field Guide has been used as a reference in the British Ministry of Defence’s publication “Linguistic Support to Operations” and in a Danish think-tank’s policy recommendations to the Danish government. Other efforts, such as our Open Letters, in which we urge governments across the world to do the right thing vis-à-vis T/Is, are not always that welcome. We imagine that’s because it is uncomfortable to be reminded of a moral imperative. Overall, though, once people learn about the current state of affairs for T/Is in conflict situations, the most common reaction we encounter is shock at how unprotected linguists are in this day and age. MK: What advice would you give to someone thinking about going into this line of work? MH: I would encourage T/Is who are planning to work in high-risk settings to professionalize as much as possible. As is common in these settings, the individuals drawn upon to serve as linguists have little or no translation/interpreting experience. So, it is very important that they learn the basic skills of the profession and familiarize themselves with their rights and responsibilities. The latter is critical, since employers frequently ask for help with tasks that go beyond the job description and T/Is need to know they can decline any request that makes them uncomfortable. In fact, clearly defined expectations on both sides go a long way, and consulting our Conflict Zone Field Guide (http://red-t.org/guidelines.html) – a primer that lays out best practices, standards, and ethics for T/Is and their employers – is a good starting point. Overall, we believe that adhering to the parameters of the profession serves a protective function, and the more professionalized a T/I is, the safer he or she will be. MK: You talked in the past about the need for a paradigm shift in how translators and interpreters are perceived. Could you elaborate? MH: In high-risk settings, especially conflict zones and terrorism-related contexts, T/Is are too often and too quickly perceived as traitors. The results of this perception, or what I call the translator-traitor mentality, are catastrophic and include criminalization of our profession under the cover of due process, wrongful incarcerations, rashes of kidnappings, incidents of unspeakable torture, and brutal murders, not seldom in the form of beheadings. In other words, T/Is may get persecuted for simply doing their job. This must stop. And that is why we need a paradigm shift to change the way we are perceived and treated. I hope your readers will join me in bringing this about by signing and circulating our petition. Together we can make this happen! Maya Hess is the founder and CEO of Red T, a U.S.-based nonprofit organization that advocates worldwide on behalf of translators and interpreters in conflict zones and other high-risk settings. As a forensic linguist, Maya provided language support and expert witness services in many high-profile terrorism trials, among them those related to the simultaneous US embassy attacks in East Africa, the World Trade Center bombing, and the New York City landmarks conspiracy. She holds an M.A. in Journalism from New York University, a Graduate Certificate in Terrorism Studies from John Jay College of Criminal Justice, as well as an M. Phil. and Ph.D. in Criminal Justice from the City University of New York.